London, The Arab Weekly – Battersea Power Station is a London icon, its four great chimneys dominat­ing the British capital’s skyline. Now, with an am­bitious redevelopment project in the works, Battersea Power Station is looking to be a new exciting hub on the south banks of the Thames and the home away from home for London’s Middle Eastern contin­gent. The ambitious development, which includes the redevelopment of the Battersea Power Station as well as a number of new buildings by some of the world’s leading ar­chitects, is one of the biggest pro­jects in Europe. The site covers 17 hectares and construction will take place over seven phases, ending in 2022. The project is being largely fi­nanced by a Malaysian consortium, although Battersea Power Station Development Company (BPSDC) is looking to the Middle East, and par­ticularly the United Arab Emirates, for investors. “The National Bank of Abu Dhabi [is] one of our lenders and they are extremely supportive of the pro­ject. In fact, we have a team going to Abu Dhabi and Dubai over the next month,” BPSDC Chief Execu­tive Officer Rob Tincknell said. “Our main funding in Phase II was sharia compliant, which was the biggest funding of that nature in the UK ever. I think that has gen­erated some support among Mid­dle Eastern buyers for the project, they know that we are respectful of that,” Tincknell added. For the developers, “placemak­ing”, an architectural term signi­fying a multifaceted approach to building planning and design, is the watchword for the Battersea project. The ultimate aim is to cre­ate an attractive and self-sustaining community. “Placemaking really is at the heart of this project. We did a huge amount of research on what makes a great place. 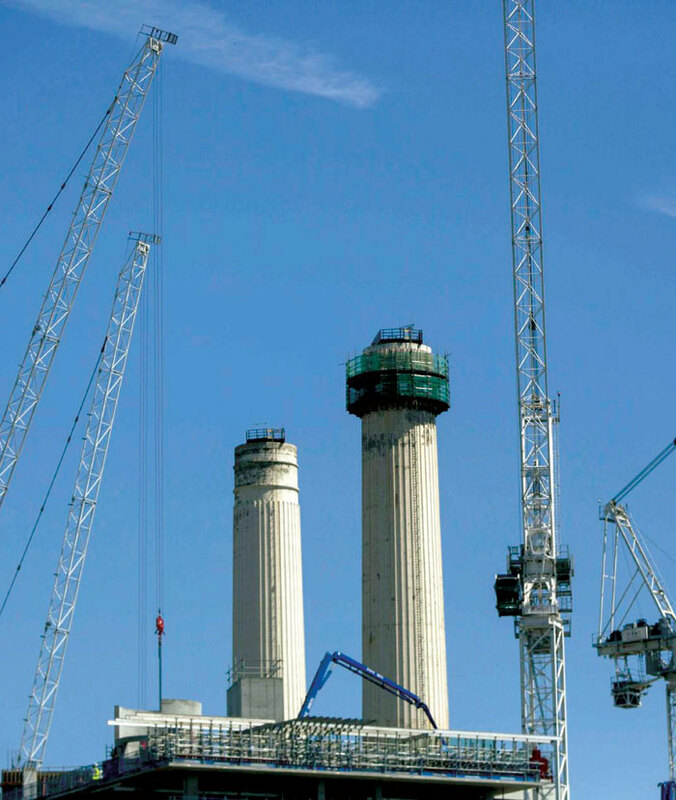 It’s got to be some­thing that’s alive and has a real spark to it, especially when you have this incredible monument — the Battersea Power Station — at the real heart of it,” Tincknell said. He said the site will be 43% com­mercial, including the biggest retail and leisure scheme in central Lon­don. The project calls for 150,000 square metres of offices, which will cater to 10,000 people. The decommissioned power station will be at the centre of the development. The power station’s brick building and four chimney stacks dominate London’s south bank but it is not until one nears the structure that the sheer scale and size of the building become clear. Battersea Power Station is large enough to contain St Paul’s Cathe­dral and can fit the Tate Modern gallery on either side. Phase III involves a collaboration between US architect Frank Gehry, utilising deconstructive aesthetic incorporating curves and reflection, and UK architect Norman Foster. “Our goal from the start has been to create a neighbourhood that con­nects into the historic fabric of the city of London, but one that has its own identity and integrity. We have tried to create humanistic environ­ments that feel good to live in and visit,” Gehry said in a 2014 release. “Very rarely do people have the opportunity to live in a home which can really become an extension of their personality. Living in a Frank Gehry building says something very strongly about who you are,” said Tincknell. That same building will also have one of the world’s largest roof gar­dens, designed by James Corner Field Operations, the architect re­sponsible for New York’s acclaimed High Line linear park. “This is an example of our com­munity aspirations. It will have outdoor kitchens and seating. The idea is that residents can book a kitchen and have a barbecue and you get to know people, you make friends with other residents and the community starts to engage. That’s what it’s all about,” Tinck­nell said.